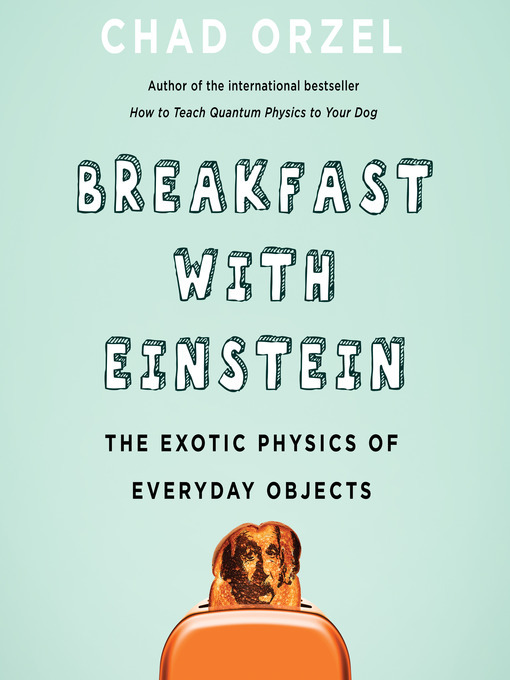 Physics is everywhere, that is the message of Chad Orzel’s new book “Breakfast with Einstein,” and he delivers his message masterfully. In the serenity of an early morning, Orzel uses every-day examples to reveal the omnipresence of physics: The sunrise becomes an occasion to introduce nuclear physics, the beeping of an alarm a pathway to atomic clocks, a toaster leads to a discussion of zero-point energy. Much of the book’s content is home-play for Orzel, whose research specializes in atomic, molecular, and optical physics. It shows: “Breakfast with Einstein” is full with applied science, from fibre-optic cables to semiconductors, data storage, lasers, smoke detectors, and tunneling microscopes. Orzel doesn’t only know what he writes about, he also knows what this knowledge is good for, and the reader benefits. Like in his earlier books, Orzel’s explanations are easy to follow without glossing over details. The illustrations aid the text, and his writing style is characteristically straight-forward. While he does give the reader some historical context, Orzel keeps people-facts to an absolute minimum, and instead sticks with the science. 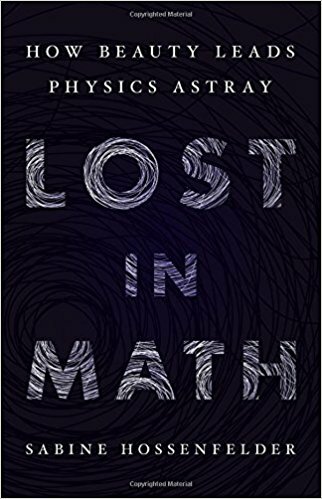 In contrast to many recent books about physics, Orzel stays away from speculation, and focuses instead on the many remarkable achievements that last century’s led to. When it comes to popular science books, this one is as flawless as it gets. 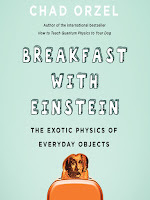 “Breakfast with Einstein,” I believe, will be understandable to anyone with an interest in the subject. I can warmly recommend it. I am in London for a few days and comments are likely to pile up in the queue more than usual. Pls play nicely while I'm away. Gian-Francesco Giudice is a particle physicist and currently Head of the Theoretical Physics Department at CERN. He is one of the people I interviewed for my book. This week, Giudice had a new paper on the arXiv titled “On Future High-Energy Colliders.” It appeared in the category “History and Philosophy of Physics” but contains little history and no philosophy. It is really an opinion piece. The article begins with Giudice stating that “the most remarkable result [of the LHC measurements] was the discovery of a completely new type of force.” By this he means that the interaction with the Higgs-boson amounts to a force, and therefore the discovery of the Higgs can be interpreted as the discovery of a new force. That the Higgs-boson exchanges a force is technically correct, but this terminology creates a risk of misunderstanding, so please allow me to clarify. In common terminology, the standard model describes three fundamental forces (stemming from the three gauge-symmetries): The electromagnetic force, the strong nuclear force, and the weak nuclear force. The LHC results have not required physicists to rethink this. The force associated with the Higgs-boson is not normally counted among the fundamental forces. One can debate whether or not this is a new type of force. Higgs-like phenomena have been observed in condensed-matter physics for a long time. In any case, rebranding the Higgs as a force doesn’t change the fact that it was predicted in the 1960s and was the last missing piece in the standard model. There is no reason to think a larger particle collider will tell us anything new about this. There isn’t even a reason to think those patterns have any deeper explanation. The neutrino-masses are either of Majorana-type, which you test for with other experiments (looking for neutrino-less double-beta decay) or they are of Dirac-type, in which case there is no reason to think the (so-far missing) right handed neutrinos have masses in the range accessible by the next larger collider. Arguments from naturalness were the reason why so many physicists believed the LHC should have seen fundamentally new particles besides the Higgs already (see here for references). Those predictions were all wrong. It’s about time that particle physicists learn from their mistakes. I am not sure what this refers to. If you know, pls leave a note in the comments. 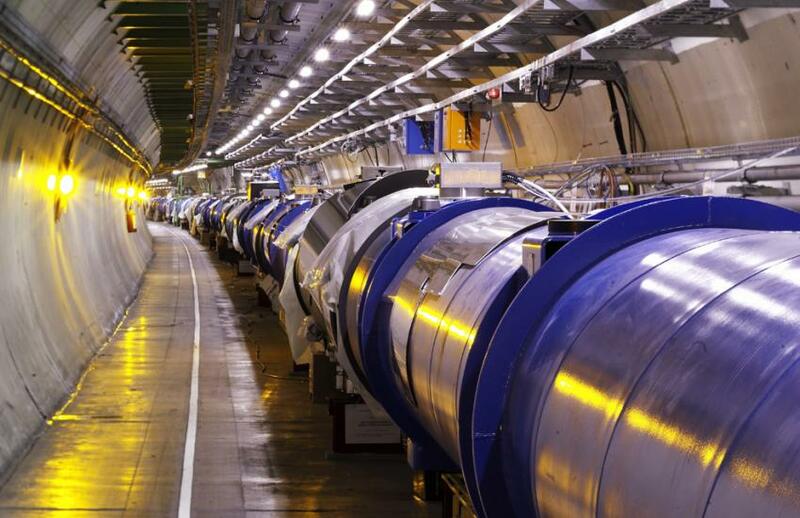 A next larger collider would tell us more about the Higgs potential. But the question whether the potential is stable cannot be answered by this collider because the answer also depends on what happens at even higher energies. Expected to become relevant at energies far exceeding that of the next larger collider. Relevant on long distances and not something that high energy colliders test. 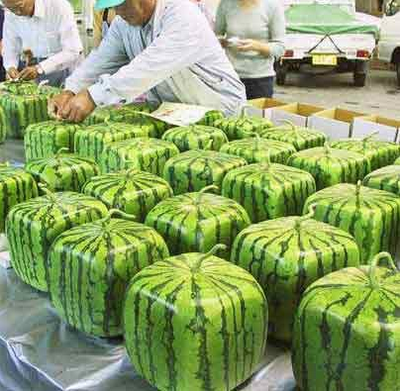 No reason to think that a next larger collider will tell us anything about this. Giudice then goes on to argue that “the non-discovery of expected results can be as effective as the discovery of unexpected results in igniting momentous paradigm changes.” In support of this he refers to the Michelson-Morley experiment. The Michelson-Morley experiment, however, is an unfortunate example to enlist in favor of a larger collider. To begin with, it is somewhat disputed among historians how relevant the Michelson-Morley experiment really was for Einstein’s formulation of Special Relativity, since you can derive his theory from Maxwell’s equations. More interesting for the case of building a larger collider, though, is to look at what happened after the null-result of Michelson and Morley. What happened is that for some decades experimentalists built larger and larger interferometers looking for the aether, not finding any evidence for it. 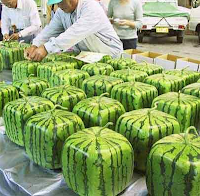 These experiments eventually grew too large and this line of research was discontinued. Then, the second world-war interfered, and for some while scientific exploration stalled. In the 1950s, due to rapid technological improvements, interferometers could be dramatically shrunk back in size and the search for the aether continued with smaller devices. Indeed, Michelson-Morley-like experiments are still made today. But the best constraints on deviations from Einstein’s theory now come from entirely different observations, notably from particles traveling over cosmologically long distances. The aether, needless to say, hasn’t been found. There are two lessons to take away from this: (a) When experiments became too large and costly they paused until technological progress improved the return on investment. (b) Advances in entirely different research directions enabled better tests. Back to high energy particle physics. There hasn’t been much progress in collider technology for decades. For this reason physicists still try to increase collision energies by digging longer tunnels. 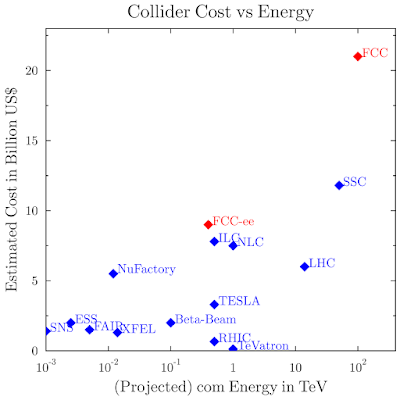 The costs are now exceeding $10 billion dollars for a next larger collider. We have no reason to think that this collider will tell us anything besides measuring details of the standard model to higher precision. This line of research should be discontinued until it becomes more cost-efficient again. But look at the facts: The best constraints on grand unified theories come from searches for proton decay. Such searches entail closely monitoring large tanks of water. These are not high-energy experiments. You could maybe call them “large volume experiments”. Likewise, the tightest constraints on physics at high energies currently comes from the ACME measurement of the electric dipole moment. This is a high precision measurement at low energies. And our currently best shot at finding evidence for quantum gravity comes from massive quantum oscillators. Again, that is not high energy physics. Building larger colliders is not the only way forward in the foundations of physics. Particle physicists only seem to be able to think of reasons for a next larger particle collider and not of reasons against it. This is not a good way to evaluate the potential of such a large financial investment. 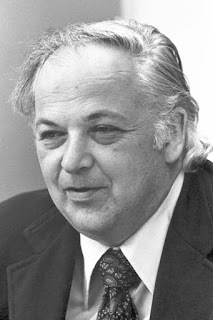 The 1976 Nobel Prize was jointly awarded to Burton Richter and Samuel Ting for the discovery of the J/Psi particle. Sounds like yet-another-particle, I know, but this morsel of matter was a big step forward in the development of the standard model. Richter, sadly, passed away last summer. Coincidentally, I recently came across a chapter Richter wrote in 2014 to introduce Volume 7 of the “Reviews of Accelerator Science and Technology.” It is titled “High Energy Colliding Beams; What Is Their Future?” and you can read the whole thing here. For your convenience I below quote some parts that are relevant to the current discussion of whether or not to build a next larger particle collider, specifically the 100 TeV pp-collider (FCC), planned by CERN. 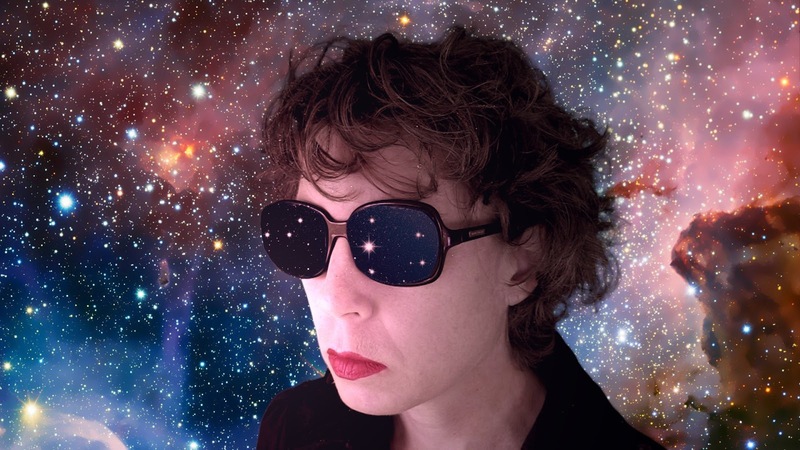 “When I was much younger I was a fan of science fiction books. I have never forgotten the start of one, though I don’t remember the name of the book or its author. It began by saying that high-energy physics’ and optical astronomy’s instruments had gotten so expensive that the fields were no longer funded. That is something that we need to think about. Once before we were confronted with a cost curve that said we could never afford to go to very high energy, and colliding beams were invented and saved us from the fate given in my science fiction book. We really need to worry about that once more. He points towards the lack of technological breakthroughs in accelerator design, which is the major reason why the current method of choice for higher collision energies is still digging longer tunnels. 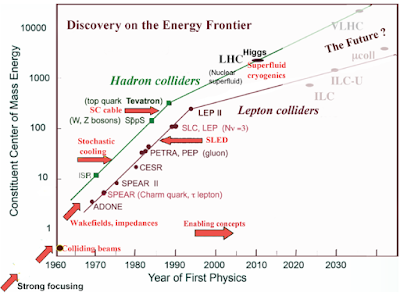 As I mentioned in my recent blogpost, there are two promising technologies on the horizon which could advance particle colliders: high-temperature superconductors and plasma wakefield acceleration. But neither of those is likely to become available within the next two decades. “The usual back and forth between theory and experiment; sometimes one leading, sometimes the other leading; has stalled. The experiments and theory of the 1960s and 1970s gave us today’s Standard Model that I characterized earlier as a beautiful manuscript with some unfortunate Post-it notes stuck here and there with unanswered questions written on them. The last 40 years of effort has not removed even one of those Post-it notes. The accelerator builders and the experimenters have built ever bigger machines and detectors, while the theorists have kept inventing extensions to the model. Indeed, I have wondered about this, whether experimentalists even understand what is going on in theory-development. My impression has been that most of them regard the ideas of theorists with a mix of agnosticism and skepticism. They believe it doesn’t matter, so they never looked much into the theorists’ reasoning for why the LHC should see some fundamentally new physics besides the Higgs-boson. But of course it does matter, as Burton points out, to understand the significance of what they are working on. A wise man; gone too soon. of matter, but not made of dark matter. Dark Matter is, as the name says, matter. But “matter” is not just physicists’ way to say “stuff,” it’s a technical term. Matter has specific behavior, which is that its energy-density dilutes with the inverse volume. Energy-density of radiation, in contrast, dilutes faster than the inverse volume, because the wavelengths of the radiation also stretch. Generally, anything that has a non-negligible pressure will not behave in this particular way. Cosmologists therefore also say dark matter is “a pressureless fluid.” And, since I know it’s confusing, let me remind you that a fluid isn’t the same as a liquid, and gases can be fluids, so sometimes they may speak about “pressureless gas” instead. 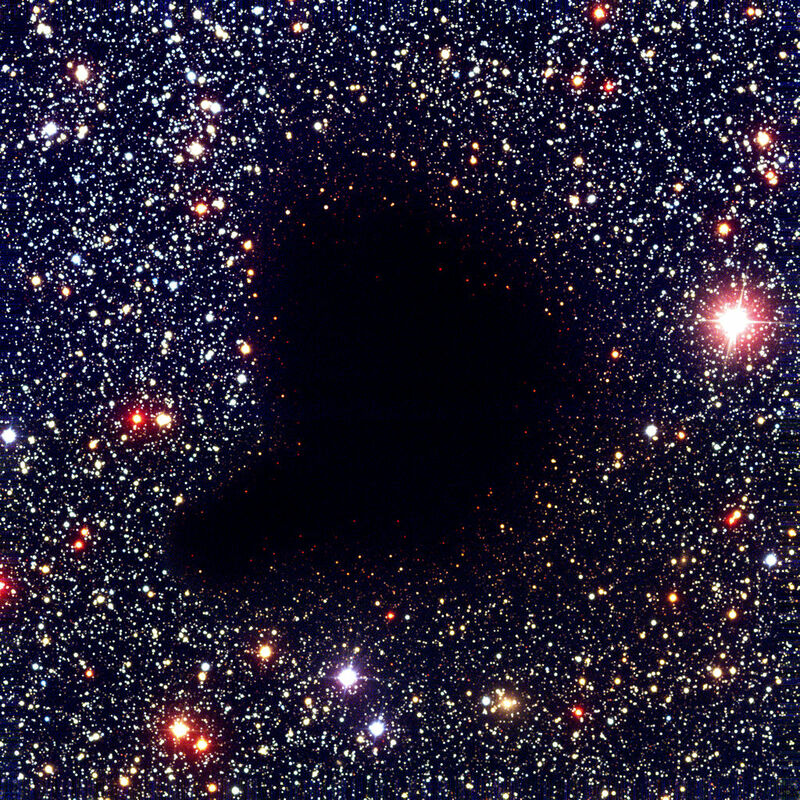 In contrast to what the name says, though, Dark Matter isn’t dark. “Dark” suggests that it adsorbs light, but really it doesn’t react with light at all. It would be better to call it transparent. Light just goes through. And in return, Dark Matter just goes through all normal matter, including planet Earth and you and me. Dark Matter interacts even less often than the already elusive neutrinos. Dark matter is what makes galaxies rotate faster and helps galactic structure formation to get started. 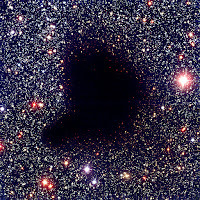 Dark Energy, too, is transparent rather than dark. But its name is even more misleading than that of Dark Matter because Dark Energy isn’t energy either. Instead, if you divide it by Newton’s constant, you get an energy density. In contrast to Dark Matter, however, this energy-density does not dilute with the inverse volume. Instead, it doesn’t dilute at all if the volume increases, at least not noticeably. If the energy density remains entirely constant with the increase of volume, it’s called the “cosmological constant.” General types of Dark Energy can have a density that changes with time (or location), but we currently do not have any evidence that this is the case. The cosmological constant, for now, does just fine to explain observations. Dark Energy is what makes the expansion of the universe speed up. Dark Matter and Dark Energy have distinctly different properties and cannot just be the same. At best they can both be different aspects of a common underlying theory. There are many theories for how this could happen, but to date we have no compelling evidence that this idea is correct. Yesterday I gave a colloq about my work with Tobias Mistele on superfluid dark matter. Since several people asked for the slides, I have uploaded them to slideshare. You can also find the pdf here. I previously wrote about our research here and here. All my papers are openly available on the arXiv. His is a very detailed review that focuses, unsurprisingly, on the philosophical implications of my book. I think his summary will give you a pretty good impression of the book’s content. However, I want to point out two places where he misrepresents my argument. Sure. Supersymmetry, string theory, grand unification, even naturalness, started out as good ideas and valuable research programs. I do not say these should not have been studied; neither do I say one should now discontinue studying them. The problem is that these ideas have grown into paper-production industries that no longer produce valuable output. Beautiful hypotheses are certainly worth consideration. Troubles begin if data disagree with the hypotheses but scientists continue to rely on their beautiful hypotheses rather than taking clues from evidence. To the extent that physicists are aware they use arguments from beauty, most know that these are not scientific arguments and also readily admit it. I state this explicitly in the book. They use such arguments anyway, however, because doing so has become accepted methodology. Look at what they do, don’t listen to what they say. A few try to justify using arguments from beauty by appeals to cherry-picked historical examples or quotes to Einstein and Dirac. In most cases, however, physicists are not aware they use arguments from beauty to begin with (hence the book’s title). I have such discussions on a daily basis. Physicists wrap appeals to beauty into statements like “this just can’t be the last word,” “intuition tells me,” or “this screams for an explanation”. They have forgotten that naturalness is an argument from beauty and can’t recall, or never looked at, the motivation for axions or gauge coupling unification. They will express their obsessions with numerical coincidences by saying “it’s curious” or “it is suggestive,” often followed by “Don’t you agree?”. Of course I agree. I agree that supersymmetry is beautiful and it should be true, and it looks like there should be a better explanation for the parameters in the standard model, and it looks like there should be a unified force. But who cares what I think nature should be like? Human intuition is not a good guide to the development of new laws of nature. What physicists are naive about is not appeals to beauty; what they are naive about is their own rationality. They cannot fathom the possibility that their scientific judgement is influenced by cognitive biases and social trends in scientific communities. They believe it does not matter for their interests how their research is presented in the media. The easiest way to see that the problem exists is that they deny it. That a larger particle collider is not currently a good investment is hardly a controversial position. While the costs per units of collision-energy have decreased over the decades thanks to better technology, the absolute cost of new machines has shot up. That the costs of larger particle colliders would at some point become economically prohibitive has been known for a long time. Even particle physicists could predict this. Livingston plot. Image Credits: K. Yokoya. The ILC is the (proposed) International Linear Collider, and the NLC was the once proposed Next Linear Collider. The SSC is the scraped Superconducting Super Collider. FCC-ee and FCC are the low-cost and high-cost variants of CERN’s planned Future Circular Collider. When interpreting this plot, keep in mind that the cost for the LHC was low because it reused the tunnel of an earlier experiment. Also note that most of these machines were not built to reach the highest energies possible (at the time), so please do not judge facilities for falling below the diagonal. So, yeah, particle collider are expensive, no doubt about this. Now, factor in the unclear discovery potential for the next larger collider, and compare this to other experiments that “push frontiers,” as the catchphrase has it. There is currently no reason to think a larger particle collider will do anything besides measuring some constants to higher precision. That is not entirely uninteresting, of course, and it’s enough to excite particle physicists. But this knowledge will tell us little new about the universe and it cannot be used to obtain further knowledge either. Compare the expenses for CERN’s FCC plans to that of the gravitational wave interferometer LIGO. LIGO’s price tag was well below a billion US$. Still, in 1991, physicists hotly debated whether it was worth the money. And that is even though the scientific case for LIGO was clear. Gravitational waves were an excellently solid prediction. Not only this, physicists knew already from indirect measurements that they must exist. True, they did not know exactly at which amplitude to expect events or how many of them. But this was not a situation in which “nothing until 15 orders of magnitude higher” was the most plausible case. In addition, gravitational waves are good for something. They allow physicists to infer properties of distant stellar objects, which is exactly what the LIGO collaboration is now doing. We have learned far more from LIGO than that gravitational waves exist. 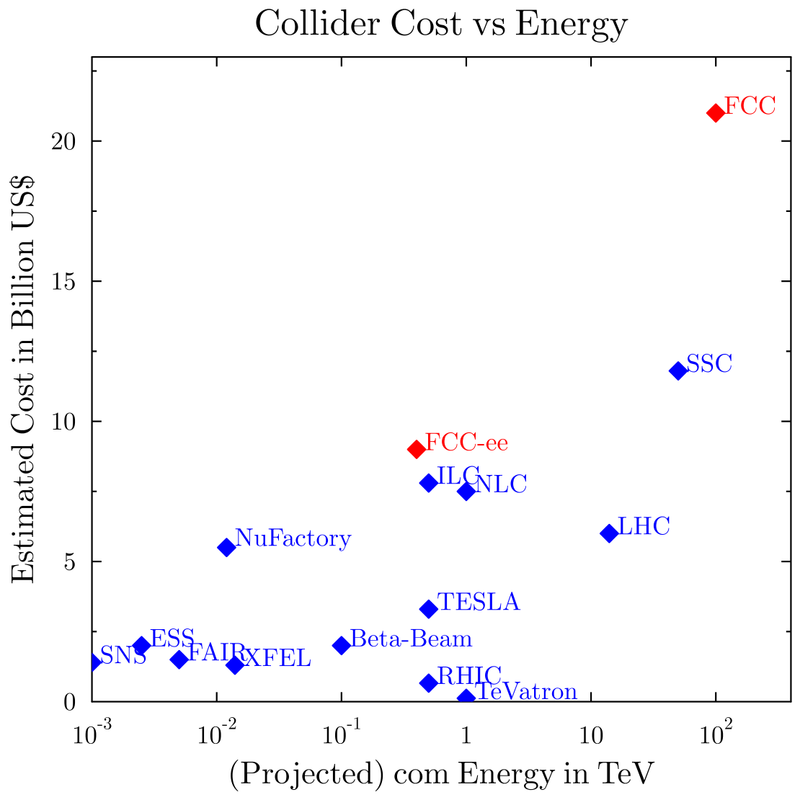 The planned FCC costs 20 times as much, has no clear discovery target, and it’s a self-referential enterprise: A particle collider tells you more about particle collisions. We have found the Higgs, all right, but there is nothing you can do with the Higgs now other than studying it closer. Another cost-comparison: The Square Kilometer Array (SKA). Again the scientific case is clear. The SKA (among other things) would allow us to study the “dark ages” of the universe, that we cannot see with other telescopes because no stars existed at the time, and look for organic compounds in outer space. From this we could learn a lot about star formation, the mystery that is dark matter, and the prevalence of organic chemistry in the universe that may be an indicator for life. The total cost of the SKA is below $2 billion, though it looks like the full version will not come into being. Currently, less than a billion of funding is available that suffices only for the slimmed-down variant (SKA-1). And it’s not like building larger colliders is the only thing you can do to learn more about particle physics. All the things that can happen at higher energies also affect what happens at low energies, it’s just that at low energies you have to measure very, very precisely. That’s why high-precision measurements, like that of the muon g-2 or the electric dipole moment, are an alternative to going to higher energies. Such experiments are far less costly. There are always many measurements that could be done more precisely, and when doing so, it is always possible that we find something new. But the expected discovery potential must play a role when evaluating the promises of an investment. It is unsurprising that particle physicists would like to have a new particle collider. But that is not an argument for why such a machine would be a good investment. Particle physicists have not been able to come up with any reliable predictions for new effects for decades. 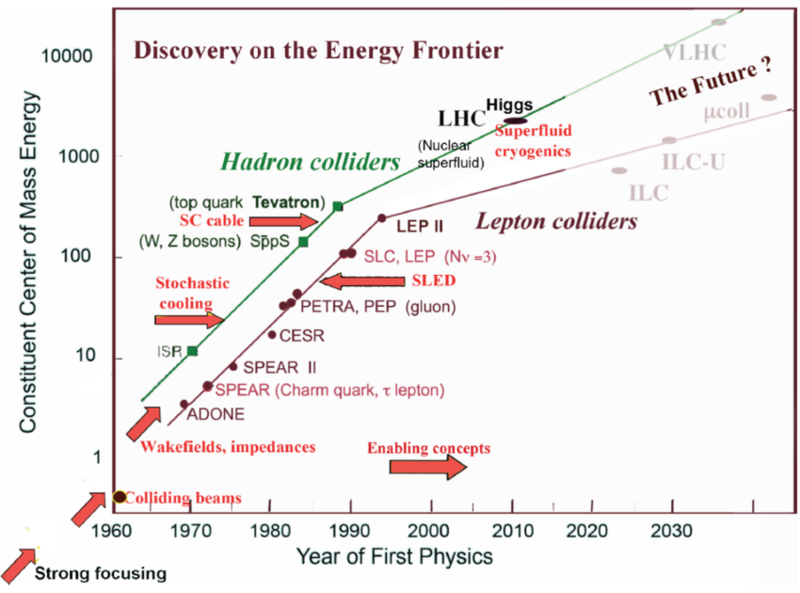 The prediction of the Higgs-boson was the last good prediction they had. With that, the standard model is complete and we have no reason to expect anything more, not until energies 15 orders of magnitude higher. Of course, particle physicists do have a large number of predictions for new particles within the reach of the next larger collider, but these are really fabricated for no other purpose than to rule them out. You cannot trust them. When they tell you that a next larger collider may see supersymmetry or extra dimensions or dark matter, keep in mind they told you the same thing 20 years ago. In a paper that appeared on the arXiv last week, Howard Baer and collaborators predict masses of new particles using the string theory landscape. They argue that the Large Hadron Collider should not have seen them so far, and likely will not see them in the upcoming run. Instead, it would at least take an upgrade of the LHC to higher collision energy to see any. The idea underlying their calculation is that we live in a multiverse in which universes with all possible combinations of the constants of nature exist. On this multiverse, you have a probability distribution. You further must take into account that some combinations of natural constants will not allow for life to exist. This results in a new probability distribution that quantifies the likelihood, not of the existence of universes, but that we observe a particular combination. You can then calculate the probability for finding certain masses of postulated particles. Problem is, the landscape is just not predictive. It is predictive in the statistical sense only after you have invented a probability distribution. But since you cannot derive the distribution from first principles, you really postulate your results in form of the distribution. So what do the particle physicists find? They find that the mass of the Higgs-boson is most likely what we have observed. They find that most likely we have not yet seen supersymmetric particles at the LHC. They also find that so far we have not seen any dark matter particles. I must admit that this fits remarkably well with observations. I would have been more impressed, though, had they made those predictions prior to the measurement. They also offer some actual predictions which is that the next LHC run is unlikely to see any new fundamental particles, but that upgrading the LHC to higher energies should help seeing them. (This upgrade is called HE-LHC and is distinct from the FCC proposal.) They also think that the next round of dark matter experiments should see something. Ten years ago, Howard Baer worried that when the LHC turned on, it would produce so many supersymmetric particles that this would screw up the detector calibration. Every time a particle physicist dismisses my concerns, unthinkingly, I wonder some more. Maybe I am crazy? It would explain so much. Then I remind myself of the facts, once again. Porter Williams is a philosopher at the University of Pittsburgh. He has a new paper about “naturalness,” an idea that has become a prominent doctrine in particle physics. In brief, naturalness requires that a theory’s dimensionless parameters should be close to 1, unless there is an explanation why they are not. Naturalness arguments were the reason so many particle physicists expected (still expect) the Large Hadron Collider (LHC) to see fundamentally new particles besides the Higgs-boson. 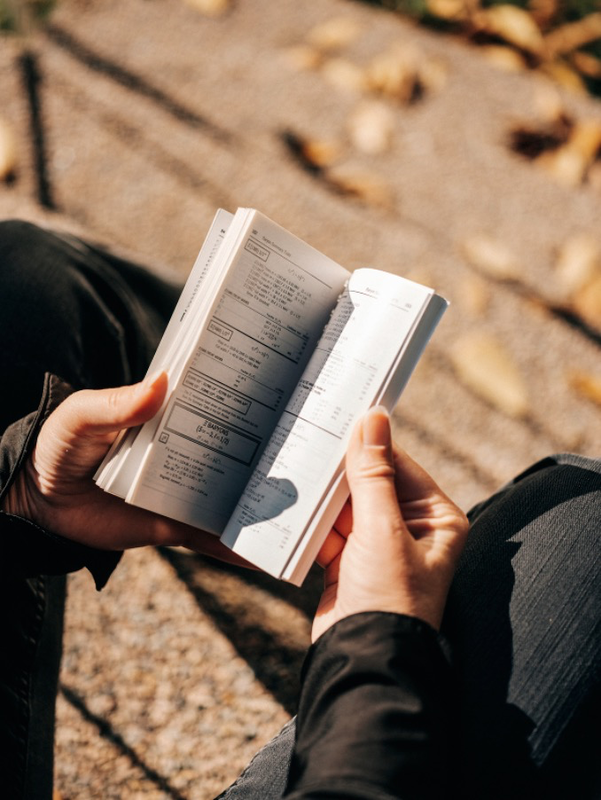 In his new paper, titled “Two Notions of Naturalness,” Williams argues that, in recent years, naturalness arguments have split into two different categories. The first category of naturalness is the formerly used one, based on quantum field theory. It quantifies, roughly speaking, how sensitive the parameters of a theory at low energies are to changes of the parameters at high energies. Assuming a probability distribution for the parameters at high energies, you can then quantify the likelihood of finding a theory with the parameters we do observe. If the likelihood is small, the theory is said to be “unnatural” or “finetuned”. The mass of the Higgs-boson is unnatural in this sense, so is the cosmological constant, and the theta-parameter. I wrote about this drift of naturalness arguments last year (it is also briefly mentioned in my book). I think Williams correctly identifies a current trend in the community. But his paper is valuable beyond identifying a new trend, because Williams lays out the arguments from naturalness very clearly. I have given quite some talks about the topic, and in doing so noticed that even particle physicists are sometimes confused about exactly what the argument is. Some erroneously think that naturalness is a necessary consequence of effective field theory. This is not so. Naturalness is an optional requirement that the theory may or may not fulfill. As Williams points out: “Requiring that a quantum field theory be natural demands a more stringent autonomy of scales than we are strictly licensed to expect by [the] structural features of effective field theory.” By this he disagrees with a claim by the theoretical physicist Gian-Francesco Giudice, according to whom naturalness “can be justified by renormalization group methods and the decoupling theorem.” I side with Williams. Nevertheless, Williams comes out in defense of naturalness arguments. He thinks that these arguments are well-motivated. I cannot, however, quite follow his rationale for coming to this conclusion. It is correct that the sensitivity to high-energy parameters is peculiar and something that we see in the standard model only for the mass of the Higgs-boson*. But we know why that is: The Higgs-boson is different from all the other particles in being a scalar particle. The expectation that its quantum corrections should enjoy a similar protection as the other particles is therefore not justified. Williams offers one argument that I had not heard before, which is that you need naturalness to get reliable order-of-magnitude estimates. But this argument assumes that you have only one constant for each dimension of units, so it’s circular. The best example is cosmology. The cosmological constant is not natural. GR has another, very different, mass-scale, that is the Planck mass. Still you can perfectly well make order-of-magnitude estimates as long as you know which mass-scales to use. In other words, making order-of-magnitude estimates in an unnatural theory is only problematic if you assume the theory really should be natural. And that really is the gist of the current trend. The LHC data has shown that the naturalness arguments that particle physicists relied on did not work. But instead of changing their methods of theory-development, they adjust their criteria of naturalness to accommodate the data. This will not lead to better predictions. *The strong CP-problem (that’s the thing with the theta-parameter) is usually assumed to be solved by the Pecci-Quinn mechanism, never mind that we still haven’t seen axions. The cosmological constant has something to do with gravity, and therefore particle physicists think it’s none of their business. Me and my Particle Data Booklet. In the past week, I got a lot of messages from particle physicists who are unhappy I wrote an Op-Ed for the New York Times. They inform me that they really would like to have a larger particle collider. In other news, dogs still bite men. In China, bags of rice topple over. 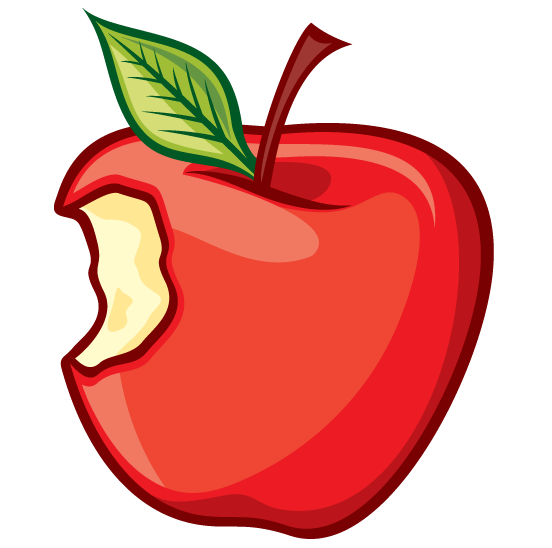 More interesting than particle physicists’ dismay are the flavors of their discontent. 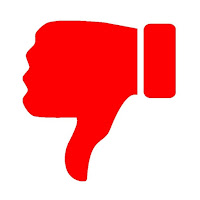 I’ve been called a “troll” and a “liar”. I’ve been told I “foul my nest” and “play the victim.” I have been accused of envy, wrath, sloth, greed, narcissism, and grandiosity. I’m a pessimist, a defeatist, and a populist. I’m “to be ignored.” I’m a “no one” with a “platform” who has a “cult following.” I have made quick career from an enemy of particle physics, to an enemy of physics, to an enemy of science. In extrapolation, by the end of next week I’ll be the anti-christ. Now, look. I’m certainly not an angel. I have a temper. I lack patience. I’m “eye-for-eye” rather than “turn the other cheek”. I don’t always express myself as clearly as I should. I make mistakes, contradict myself, and don’t live up to my own expectations. I have regrets. But I am also a simple person. You don’t need to dig deep to understand me. To first approximation, I mean what I say: We currently have no reason to think a next larger particle collider will do anything but confirm the existing theories. Particle physicists’ methods of theory-development have demonstrably failed for 40 years. The field is beset by hype and group-think. You cannot trust these people. It’s a problem and it’s in the way of progress. It hurts, because they know that I know what I am talking about. Thursday, I gave a colloquium at the University of Giessen. In Giessen, physics research is mostly nuclear physics and plasma physics. They don’t have anyone working in the fields I’m criticizing. Nevertheless, it transpired yesterday that following my Op-Ed some people at the department debated whether I am a “populist” who better not be given a “forum”. For starters, that’s ridiculous – a physics colloq at the University of Giessen is not much of a forum. Also, I have been assured the department didn’t seriously consider uninviting me. Still, I am disturbed that scientists would try to shut me up rather than think about what I say. I didn’t know anything about this, however, when I gave my talk. It was well attended, all seats taken, people standing in the back. It was my usual lecture, that is a brief summary of the arguments in my book. I got the usual questions. There is always someone who asks for an example of an ugly theory. There is always someone who asks what’s wrong with finding beauty in their research. There’s always someone who has a question that’s more of a comment, really. Then, a clearly agitated young man raised his arm and mumbled something about a heated discussion that had taken place last week. This didn’t make sense to me until later, so I ignored it. He then explained he didn’t read my book, and didn’t find anything objectionable about my talk. Must have been some disappointment, I guess, to see I’m not Rumpelstiltskin. He said that “everyone here agrees” that those failed predictions and the hype surrounding them are a problem. But, he wailed, how could I possibly go and publicly declare that one cannot trust scientists? You see, the issue they have isn’t that I say particle physics has a problem. Because that’s obvious to everyone who ever had anything to do with the field. The issue is that I publicly say it. Why do I say it? Because it’s true. And because the public needs to know. And because I have given up hope they will change their ways just because what I say is right. You cannot reach them with reason. But you can reach them by drawing attention to how much money is going to waste because scientists refuse to have a hard look at themselves. Lots of money. Money that could be put to better use elsewhere. Now they are afraid, and they feel betrayed. And that’s what you see in the responses. The first mode of defense is denial. It goes like this: Particle physics is doing just fine, go away, nothing to see here. Please give us more money. But no, just no. My job as a scientist is not to “convince society” that what other scientists do is worthwhile (regardless of headlines). My job is to look at the evidence and report what I find. The evidence says particle physicists’ methods for theory-development have not worked for four decades. Yet they continue using these methods. It’s bad science, it deserves to be called bad science, and I will continue to call it bad science until they stop doing it. If I was a genius, I would be here telling you about my great new theory of everything. I don’t have one. I am a mediocre thinker. I just wish all those smart people would stop playing citation games and instead do their job so we would see some real progress. But I’m also a writer. Words are my weapons. And make no mistake, I’m not done.